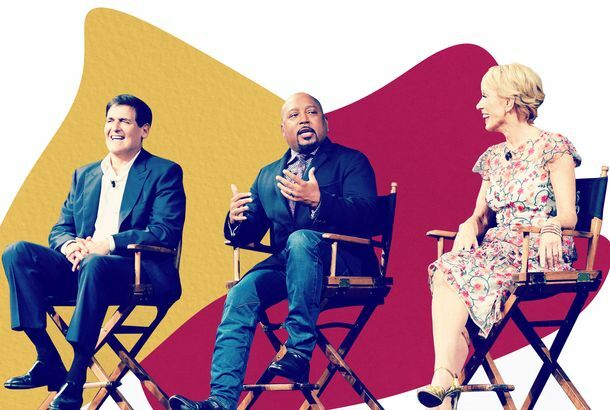 What Has Shark Tank Taught Its Sharks After a Decade of Deal-making?Mark, Barbara, Kevin, Lori, and Daymond on their biggest lessons and regrets from ten years in the Tank. I Think About This a Lot: Mark Cuban Saying ‘Right’ on Shark TankEver since Cuban opened my ears to the tic, I’ve noticed it near constantly. Sexual-Assault Complaint Against Mark Cuban ResurfacesIn 2011, a woman accused Cuban of putting his hand in her jeans during a photo op at a bar. Steve Bannon Reportedly Wants Mark Cuban to Run in 2020 As a DemocratTrump’s former senior adviser has a new favorite billionaire. Terry McAuliffe Is Thinking of Running for PresidentReally? Why Shark Tank Is Such Reliably Great TVIt’s a lot more nuanced than you might think. Trump Troll Mark Cuban Spotted With Trump Adviser Steve BannonThey met Tuesday in a Midtown bar. 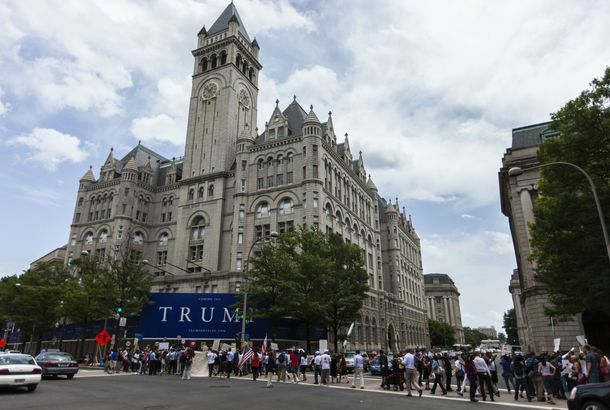 Donald Trump’s D.C. Hotel Shows His Brand Is Sinking Along With His Poll NumbersLook to the Trump International Hotel in Washington, D.C., to see just how the campaign-as-business-advertising strategy has backfired. Shark Tank and Dr. Ken Will Have a Crossover EpisodeThe sharks will meet a younger entrepreneur than they’re used to. Anti-Trump Republicans Really Want Mark Cuban to Run for PresidentThe Mavericks owner left the door open a crack. Barbara Corcoran Doesn’t Think She Believes in the Glass Ceiling, But She DoesOops. Mark Cuban Apologizes to Trayvon Martin’s FamilyBut stands by his remarks on tackling people’s prejudices. Let’s Not Forget How Crazy Kenyon Martin IsOh, fun times, this guy. Last Night on Late Night: Charlie Sheen Plants a Kiss on Jimmy Kimmel, Wins at That TooPlus, Sarah Silverman tells Conan all about her unfortunate “seventeen-year-old puppy,” on our regular late-night roundup. What’s Behind the Latest Batch of Rumors About Charlie Sheen Returning to TV?Does CBS want him back? 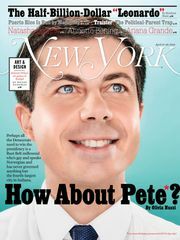 Is Fox chasing after him? Vulture is keeping ‘em honest. Mark Cuban and Mike ‘the Situation’ Sorrentino Had a Man DateIn the meatpacking district, natch. Industry Roundup: Cuban, Chris BrownPlus: Chis Brown gives his next album a title. Today Was John Mack’s 64th BirthdayThe Morgan Stanley CEO probably didn’t think he’d spend it this way. 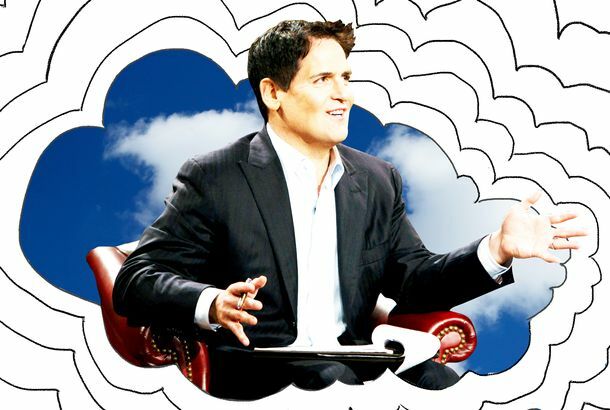 Mark Cuban Slapped With SEC Insider-Trading SuitJust another thing to start cussing about. Vince Vaughn to Try ComedyPlus: David Gordon Green gets his freak on. Steve Carell to Play Clueless PersonPlus: David E. Kelley to make TV show! Steven Soderbergh Gets a ‘Girlfriend’Plus: Mel Gibson takes the lead, ‘I Am Charlotte Simmons’ to film, and ‘13’ is headed to Broadway. Diddy, Still Fighting After All These Years Diddy and a hip-hop marketing man fought over a model at Soho club Upstairs. The publisher of Forbes and the editor of Sports Illustrated really like white truffles. Butter owners Richie Akiva and Scott Sartiano were hit with a $120 million lawsuit by the developer of their new Chelsea club. Terrence Howard will make his Broadway debut in Cat on a Hot Tin Roof. Sarah Michelle Gellar and Freddie Prinze Jr. were congratulated at dinner at Primola because Gellar changed her last name to Prinze. At Da Tomasso, Celine Dion ordered fourteen dishes of ravioli with tomatoes and peppers. Brian De Palma Gives Up in the Battle Over ‘Redacted’Brian De Palma’s exit strategy. De Palma Versus Cuban: Edelstein Enters the RingToday David Edelstein throws his considerable critical weight into the controversy over whether real photos of injured soldiers belong in Brian De Palma’s Redacted. Williamsburg Hipster Horror Movie Gets Picked Up … by Mark Cuban?Plus, news on Ben Affleck, Ramona Quimby, and Johnny Drama.